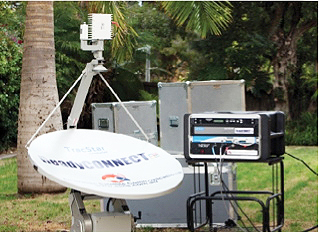 [SatNews] Australian Satellite Communications (ASC) and global satellite equipment company Cobham SATCOM have announced the launch of ReadyCONNECT(tm), a portable, quick-deploy emergency response solution. ReadyCONNECT can be set up in 10 minutes with always-available bandwidth, providing an instant solution for voice, video, private networks and Internet access, and eliminating the communications chaos that has typically followed recent natural disasters in the Pacific region. ReadyCONNECT is available off the shelf in four flyaway cases and includes two days per month of two-way satellite communication and training in the subscription price. Cobham already provides similar services to hundreds of emergency response organizations in the U.S.A. and its equipment has been used by first responders in the Haiti earthquake, Hurricane Katrina, and thousands of other deployments. 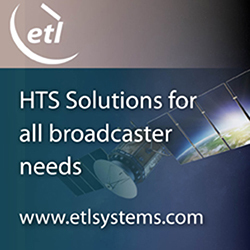 The ReadyCONNECT Comms Unit automatically accesses an always-available pool of bandwidth on the satellite as required. On the ground, users can either connect directly to the unit or via the inbuilt wireless access point, providing increased local area coverage and greater flexibility, with eight phone lines or more if required.